Naturopathy or naturopathic medicine is a form of alternative medicine that employs an array of pseudoscientific practices branded as "natural", "non-invasive", and as promoting "self-healing". The ideology and methods of naturopathy are based on vitalism and folk medicine, rather than evidence-based medicine. Naturopathic practitioners generally recommend against following modern medical practices, including but not limited to medical testing, drugs, vaccinations, and surgery. Instead, naturopathic study and practice rely on unscientific notions, often leading naturopaths to diagnoses and treatments that have no factual merit. Naturopathy is considered by the medical profession to be ineffective and possibly harmful, raising ethical issues about its practice. In addition to accusations from the medical community, such as the American Cancer Society, naturopaths have repeatedly been accused of being charlatans and practicing quackery. Over the years, many practitioners of naturopathy have been found criminally liable in the courts of law around the world. In some countries, it is a criminal offense for naturopaths to label themselves as medical professionals. Naturopaths are campaigning for more recognition in the United States. Sebastian Kneipp c. 1898, a Bavarian priest and forefather of naturopathy. Benedict Lust c. 1902, the founder of naturopathy in the U.S.
Britt Marie Hermes c. 2016, a former naturopathic doctor and major critic of naturopathic medicine. The term "naturopathy" originates from "natura" (Latin root for birth) and "pathos" (the Greek root for suffering) to suggest "natural healing". Naturopaths claim the ancient Greek "Father of Medicine", Hippocrates, as the first advocate of naturopathic medicine, before the term existed. Naturopathy has its roots in the 19th-century Natural Cure movement of Europe. In Scotland, Thomas Allinson started advocating his "Hygienic Medicine" in the 1880s, promoting a natural diet and exercise with avoidance of tobacco and overwork. The term naturopathy was coined in 1895 by John Scheel, and purchased by Benedict Lust, whom naturopaths consider to be the "Father of U.S. Naturopathy". Lust had been schooled in hydrotherapy and other natural health practices in Germany by Father Sebastian Kneipp; Kneipp sent Lust to the United States to spread his drugless methods. Lust defined naturopathy as a broad discipline rather than a particular method, and included such techniques as hydrotherapy, herbal medicine, and homeopathy, as well as eliminating overeating, tea, coffee, and alcohol. He described the body in spiritual and vitalistic terms with "absolute reliance upon the cosmic forces of man's nature". According to the Merriam-Webster Dictionary, the first known use of "naturopathy" in print is from 1901. From 1901, Lust founded the American School of Naturopathy in New York. In 1902, the original North American Kneipp Societies were discontinued and renamed "Naturopathic Societies". In September 1919, the Naturopathic Society of America was dissolved and Benedict Lust founded the American Naturopathic Association to supplant it. Naturopaths became licensed under naturopathic or drugless practitioner laws in 25 states in the first three decades of the twentieth century. Naturopathy was adopted by many chiropractors, and several schools offered both Doctor of Naturopathy (ND) and Doctor of Chiropractic (DC) degrees. Estimates of the number of naturopathic schools active in the United States during this period vary from about one to two dozen. After a period of rapid growth, naturopathy went into decline for several decades after the 1930s. In 1910, the Carnegie Foundation for the Advancement of Teaching published the Flexner Report, which criticized many aspects of medical education, especially quality and lack of scientific rigour. 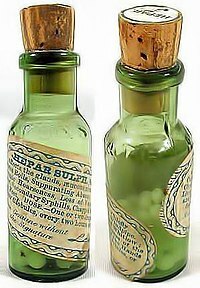 The advent of penicillin and other "miracle drugs" and the consequent popularity of modern medicine also contributed to naturopathy's decline. In the 1940s and 1950s, a broadening in scope of practice laws led many chiropractic schools to drop their ND degrees, though many chiropractors continued to practice naturopathy. From 1940 to 1963, the American Medical Association campaigned against heterodox medical systems. By 1958, practice of naturopathy was licensed in only five states. In 1968, the United States Department of Health, Education, and Welfare issued a report on naturopathy concluding that naturopathy was not grounded in medical science and that naturopathic education was inadequate to prepare graduates to make appropriate diagnosis and provide treatment; the report recommends against expanding Medicare coverage to include naturopathic treatments. In 1977 an Australian committee of inquiry reached similar conclusions; it did not recommend licensure for naturopaths. Beginning in the 1970s, there was a revival of interest in the United States and Canada, in conjunction with the "holistic health" movement. As of 2009[update], fifteen U.S. states, Puerto Rico, the US Virgin Islands and the District of Columbia licensed naturopathic doctors, and the State of Washington requires insurance companies to offer reimbursement for services provided by naturopathic physicians. On the other hand, some states such as South Carolina and Tennessee prohibit the practice of naturopathy. In 2015, a former naturopathic doctor, Britt Marie Hermes, began writing critically about her experience being trained in and practicing naturopathic medicine. A patient undergoing a hydrotherapy session. A nutritional supplement of Chromium(III) picolinate, Chromax II. Homeopathic preparations are commonly used by naturopaths. The practice is considered a pseudoscience. The practice of naturopathy is based on a belief in the body's ability to heal itself through a special vital energy or force guiding bodily processes internally. Diagnosis and treatment concern primarily alternative therapies and "natural" methods that naturopaths claim promote the body's natural ability to heal. Naturopaths focus on a holistic approach, completely avoiding the use of surgery and conventional medicines. Naturopaths aim to prevent illness through stress reduction and changes to diet and lifestyle, often rejecting the methods of evidence-based medicine. A consultation typically begins with a lengthy patient interview focusing on lifestyle, medical history, emotional tone, and physical features, as well as physical examination. Many naturopaths present themselves as primary care providers, and some naturopathic physicians may prescribe drugs, perform minor surgery, and integrate other conventional medical approaches such as diet and lifestyle counselling with their naturopathic practice. Traditional naturopaths deal exclusively with lifestyle changes, not diagnosing or treating disease. Naturopaths do not generally recommend vaccines and antibiotics, based in part on the early views that shaped the profession, and they may provide alternative remedies even in cases where evidence-based medicine has been shown effective. Naturopaths are often opposed to mainstream medicine and take an antivaccinationist stance. The particular modalities used by a naturopath vary with training and scope of practice. These may include herbalism, homeopathy, acupuncture, nature cures, physical medicine, applied kinesiology, colonic enemas, chelation therapy, color therapy, cranial osteopathy, hair analysis, iridology, live blood analysis, ozone therapy, psychotherapy, public health measures and hygiene, reflexology, rolfing, massage therapy, and traditional Chinese medicine. Nature cures include a range of therapies based on exposure to natural elements such as sunshine, fresh air, or heat or cold, as well as nutrition advice such as following a vegetarian and whole food diet, fasting, or abstention from alcohol and sugar. Physical medicine includes naturopathic, osseous, or soft tissue manipulative therapy, sports medicine, exercise, and hydrotherapy. Psychological counseling includes meditation, relaxation, and other methods of stress management. A 2004 survey determined the most commonly prescribed naturopathic therapeutics in Washington State and Connecticut were botanical medicines, vitamins, minerals, homeopathy, and allergy treatments. A examination published in 2011 of naturopathic clinic websites in Alberta and British Columbia found that the most commonly advertised therapies were homeopathy, botanical medicine, nutrition, acupuncture, lifestyle counseling, and detoxification. A rectal bulb syringe. Enemas and colonic irrigation are commonly used by naturopaths for a wide range of medical conditions, for which there are no known health benefits. Person undergoing ozone IV therapy with ultraviolet irradiation. According to the FDA, "Ozone is a toxic gas with no known useful medical application in specific, adjunctive, or preventive therapy." Naturopathy lacks an adequate scientific basis, and it is rejected by the medical community. Some methods rely on immaterial "vital energy fields", the existence of which has not been proven, and there is concern that naturopathy as a field tends towards isolation from general scientific discourse. Naturopathy is criticized for its reliance on and its association with unproven, disproven, and other controversial alternative medical treatments, and for its vitalistic underpinnings. Natural substances known as nutraceuticals show little promise in treating diseases, especially cancer, as laboratory experiments have shown limited therapeutic effect on biochemical pathways, while clinical trials demonstrate poor bioavailability. According to the American Cancer Society, "scientific evidence does not support claims that naturopathic medicine can cure cancer or any other disease". According to Britt Hermes, naturopath student programs are problematic because “As a naturopath [student], you are making justifications to make the rules and to fudge the standards of how to interpret research all along the way. Because if you don’t, you’re not left with anything, basically”. In 2015, the Australian Government's Department of Health published the results of a review of alternative therapies that sought to determine if any were suitable for being covered by health insurance; Naturopathy was one of 17 therapies evaluated for which no clear evidence of effectiveness was found. Naturopathic physicians now claim to be primary care physicians proficient in the practice of both "conventional" and "natural" medicine. Their training, however, amounts to a small fraction of that of medical doctors who practice primary care. An examination of their literature, moreover, reveals that it is replete with pseudoscientific, ineffective, unethical, and potentially dangerous practices. In another article, Atwood writes that "Physicians who consider naturopaths to be their colleagues thus find themselves in opposition to one of the fundamental ethical precepts of modern medicine. If naturopaths are not to be judged "nonscientific practitioners", the term has no useful meaning". A retired licensed naturopathic doctor, Britt Marie Hermes, states that "any product that is sold by a naturopath almost guarantees that there is no reliable scientific data to support whatever health claims are made, and that while some naturopaths claim to only practice evidence based medicine, “the problem is, all naturopaths in an accredited naturopathic program are required to extensively study homeopathy, herbal medicine, energy healing, chiropractic techniques, water therapy” and other pseudoscientific practices. According to Arnold S. Relman, the Textbook of Natural Medicine is inadequate as a teaching tool, as it omits to mention or treat in detail many common ailments, improperly emphasizes treatments "not likely to be effective" over those that are, and promotes unproven herbal remedies at the expense of pharmaceuticals. He concludes that "the risks to many sick patients seeking care from the average naturopathic practitioner would far outweigh any possible benefits". The Massachusetts Medical Society states, "Naturopathic practices are unchanged by research and remain a large assortment of erroneous and potentially dangerous claims mixed with a sprinkling of non-controversial dietary and lifestyle advice." Naturopaths often recommend exposure to naturally occurring substances, such as sunshine, herbs and certain foods, as well as activities they describe as natural, such as exercise, meditation and relaxation. Naturopaths claim that these natural treatments help restore the body's innate ability to heal itself without the adverse effects of conventional medicine. However, "natural" methods and chemicals are not necessarily safer or more effective than "artificial" or "synthetic" ones, and any treatment capable of eliciting an effect may also have deleterious side effects. Measles cases reported in the United States fell dramatically after introduction of the measles vaccine. Naturopathy practitioners voice their opposition to vaccination. The reasons for this opposition are based, in part, on the early views which shaped the foundation of this profession. A naturopathy textbook, co-authored by Joseph Pizzorno, recalls anti-vaccine beliefs associated with the founding of naturopathy in the United States: "a return to nature in regulating the diet, breathing, exercising, bathing and the employment of various forces" in lieu of the smallpox vaccine. In general, evidence about associations between naturopathy and pediatric vaccination is sparse, but "published reports suggest that only a minority of naturopathic physicians actively support full vaccination". In Washington state from 2000 to 2003, children were significantly less likely to receive immunizations if they had seen a naturopath. A survey of naturopathic students published in 2004 found that students at the Canadian College of Naturopathic Medicine became less likely to recommend vaccinations to their patients and became more distrustful of public health and conventional medicine as they advanced in the program. The British Columbia Naturopathic Association lists several major concerns regarding the pediatric vaccine schedule and vaccines in general, and the group's policy is to not advocate for or against vaccines. The Oregon Association of Naturopathic Physicians reports that many naturopaths "customize" the pediatric vaccine schedule. As of 2016[update], the American Association of Naturopathic Physicians, which is the largest professional organization for licensed naturopaths in the U.S., is "still discussing its stance on vaccinations." Naturopaths represent a diverse group of practitioners. In general, they can be categorized into three groups: 1) those with a government issued license; 2) those who practice outside of an official status ("traditional naturopaths"); 3) those who are primarily another kind of health professional who also practices naturopathy. In Switzerland, these divisions fall between those with a federal diploma, those recognized by health insurances, and those with neither federal diploma nor recognition by health insurances. Naturopaths with federal diploma can be divided into four categories: European traditional medicine, Chinese traditional medicine, ayurvedic medicine and homeopathy. The number of listed naturopaths (including traditional healers) in Switzerland rose from 223 in 1970 to 1835 in 2000. Licensed naturopaths may be referred to as "naturopathic doctors" or "naturopathic physicians" in 17 US states and 5 Canadian provinces. Licensed naturopaths present themselves as primary care providers. Licensed naturopaths do not receive comparable training to medical doctors in terms of the quality of education or quantity of hours. In British Columbia, licensed naturopaths are permitted to refer to themselves as simply "doctor" or "physician". National University of Natural Medicine trains students in naturopathic medicine who are eligible to become licensed in some jurisdictions in North America. The herb garden at Bastyr University, another naturopathic program whose graduates can become licensed naturopaths in some North American jurisdictions. Licensed naturopaths must pass the Naturopathic Physicians Licensing Examinations (NPLEX) administered by the North American Board of Naturopathic Examiners (NABNE) after graduating from a program accredited by the Council on Naturopathic Medical Education (CNME). Training in CNME-accredited programs includes basic medical diagnostics and procedures such as rudimentary physical exams and common blood tests, in addition to pseudoscientific modalities, such as homeopathy, acupuncture, and energy modalities. These accredited programs have been criticized for misrepresenting their medical rigor and teaching subjects that are antithetical to the best understandings of science and medicine. The CNME as an accrediting authority has been characterized as unreliable and suffering from conflicts of interest. The naturopathic licensing exam has been called a mystery by those outside the naturopathic profession and criticized for testing on homeopathic remedies, including for the use to treat pediatric emergencies. Naturopathic doctors are not eligible for medical residencies, which are available exclusively for medical doctors and doctors of osteopathic medicine. There are limited post-graduate "residency" positions available to naturopathic doctors offered through naturopathic schools and naturopathic clinics approved by the CNME. Most naturopathic doctors do not complete such a residency, and naturopathic doctors are not mandated to complete one for licensure, except in the state of Utah. Continuing education in naturopathic modalities for health care professionals varies greatly. Naturopaths affiliated with the CNME-accredited schools lobby state, provincial, and federal governments for medical licensure and participation in social health programs. The American Association of Naturopathic Physicians represents licensed naturopaths in the United States; the Canadian Association of Naturopathic Doctors represents licensed naturopaths in Canada. Naturopathic lobbying efforts are funded by vitamin and supplement makers and focus on portraying naturopathic education as comparable to medical education received by physicians and on having high professional standards. Medical societies and advocacy groups dispute these claims by citing evidence of licensed naturopaths using pseudoscientific methods without a sound evidence basis and lacking adequate clinical training to diagnose and treat disease competently according to the standard of care. Jann Bellamy has characterized the process by which naturopaths and other practitioners of pseudoscience convince lawmakers to provide them with medical licenses as "legislative alchemy." Naturopathic medical school is not a medical school in anything but the appropriation of the word medical. Naturopathy is not a branch of medicine. It is a hodge podge of nutritional advice, home remedies and discredited treatments...Naturopathic colleges claim accreditation but follow a true “alternative” accreditation method that is virtually meaningless. They are not accredited by the same bodies that accredit real medical schools and while some courses have similar titles to the curricula of legitimate medical schools the content is completely different. Naturopaths aggressively lobby for laws to issue them medical licenses. I would characterize this political effort as a perverted redefinition of the words “physician,” “doctor,” “medical school,” and “residency” in order to mask the inadequacy of the training provided in naturopathic programs. ND students do not realize that they are taking educational shortcuts and therefore do not possess any demonstrable competencies found in modern medicine. Hugh Mercer Apothecary in Fredericksburg, Virginia. Like all naturopaths, traditional naturopaths have a strong adversion to modern medicine and rely heavily on practices using herbs to treat diseases. Traditional naturopaths are represented in the United States by the American Naturopathic Association (ANA), representing about 1,800 practitioners and the American Naturopathic Medical Association (ANMA). The level of naturopathic training varies among traditional naturopaths in the United States. Traditional naturopaths may complete non-degree certificate programs or undergraduate degree programs and generally refer to themselves as Naturopathic Consultants. These programs often offer online unaccredited degrees, but do not offer comprehensive biomedical education or clinical training. Traditional naturopathic practitioners surveyed in Australia perceive evidence-based medicine to be an ideological assault on their beliefs in vitalistic and holistic principles. They advocate the integrity of natural medicine practice. Naturopaths graduating from accredited programs argued in 2002 that their training used evidence-based scientific principles unlike traditional naturopathic programs, but this claim remains inaccurate. Naturopathy is practiced in many countries and is subject to different standards of regulation and levels of acceptance. The scope of practice varies widely between jurisdictions. The practice of naturopathy is illegal in two USA states. In 1977, a committee reviewed all colleges of naturopathy in Australia and found that, although the syllabuses of many colleges were reasonable in their coverage of basic biomedical sciences on paper, the actual instruction bore little relationship to the documented course. In no case was any practical work of consequence available. The lectures which were attended by the committee varied from the dictation of textbook material to a slow, but reasonably methodical, exposition of the terminology of medical sciences, at a level of dictionary definitions, without the benefit of depth or the understanding of mechanisms or the broader significance of the concepts. The committee did not see any significant teaching of the various therapeutic approaches favoured by naturopaths. People reported to be particularly interested in homoeopathy, Bach's floral remedies or mineral salts were interviewed, but no systematic courses in the choice and use of these therapies were seen in the various colleges. The committee were left with the impression that the choice of therapeutic regime was based on the general whim of the naturopath and, since the suggested applications in the various textbooks and dispensations overlapped to an enormous extent, no specific indications were or could be taught. The position of the Australian Medical Association is that "evidence-based aspects of complementary medicine can be part of patient care by a medical practitioner", but it has concerns that there is "limited efficacy evidence regarding most complementary medicine. Unproven complementary medicines and therapies can pose a risk to patient health either directly through misuse or indirectly if a patient defers seeking medical advice." The AMA's position on regulation is that "there should be appropriate regulation of complementary medicine practitioners and their activities." In 2015, the Australian government found no clear evidence of effectiveness for naturopathy. Accordingly, In 2017 the Australian government named Naturopathy as a practice that would not qualify for insurance subsidy, saying this step would "ensure taxpayer funds are expended appropriately and not directed to therapies lacking evidence". In India, naturopathy is overseen by the Department of Ayurveda, Yoga and Naturopathy, Unani, Siddha and Homoeopathy (AYUSH); there is a 5½-year degree in "Bachelor of Naturopathy and Yogic Sciences" (BNYS) degree that was offered by twelve colleges in India as of August 2010[update]. The National Institute of Naturopathy in Pune that operates under AYUSH, which was established on December 22, 1986 and encourages facilities for standardization and propagation of the existing knowledge and its application through research in naturopathy throughout India. In five Canadian provinces, seventeen U.S. states, and the District of Columbia, naturopathic doctors who are trained at an accredited school of naturopathic medicine in North America are entitled to use the designation ND or NMD. Elsewhere, the designations "naturopath", "naturopathic doctor", and "doctor of natural medicine" are generally unprotected or prohibited. In North America, each jurisdiction that regulates naturopathy defines a local scope of practice for naturopathic doctors that can vary considerably. Some regions permit minor surgery, access to prescription drugs, spinal manipulations, midwifery (natural childbirth), and gynecology; other regions exclude these from the naturopathic scope of practice or prohibit the practice of naturopathy entirely. Five Canadian provinces license naturopathic doctors: Ontario, British Columbia, Manitoba, Saskatchewan, and Alberta. British Columbia has the largest scope of practice in Canada allowing certified NDs to prescribe pharmaceuticals and perform minor surgeries. U.S. jurisdictions that currently regulate or license naturopathy include Alaska, Arizona, California, Connecticut, Colorado, District of Columbia, Hawaii, Kansas, Maine, Maryland, Minnesota, Montana, New Hampshire, North Dakota, Oregon, Puerto Rico, US Virgin Islands, Utah, Vermont, and Washington. Additionally, Florida and Virginia license the practice of naturopathy under a grandfather clause. U.S. jurisdictions that permit access to prescription drugs: Arizona, California, District of Columbia, Hawaii, Kansas, Maine, Montana, New Hampshire, Oregon, Utah, Vermont, and Washington. U.S. jurisdictions that permit minor surgery: Arizona, District of Columbia, Kansas, Maine, Montana, Oregon, Utah, Vermont, and Washington. U.S. states which specifically prohibit the practice of naturopathy: South Carolina and Tennessee. Naturopathy is not regulated in the United Kingdom. In 2012, publicly funded universities in the United Kingdom dropped their alternative medicine programs, including naturopathy. The Swiss Federal Constitution defines the Swiss Confederation and the Cantons of Switzerland within the scope of their powers to oversee complementary medicine. In particular, the Federal authorities must set up diplomas for the practice of non-scientific medicine. The first of such diplomas has been validated in April 2015 for the practice of naturopathy. There is a long tradition for naturopathy and traditional medicine in Switzerland. The Cantons of Switzerland make their own public health regulations. Although the law in certain cantons is typically monopolistic, the authorities are relatively tolerant with regard to alternative practitioners. ^ a b c d e f Jagtenberg, Tom; Evans, Sue; Grant, Airdre; Howden, Ian; et al. (April 2006). "Evidence-based medicine and naturopathy". Journal of Alternative and Complementary Medicine. 12 (3): 323–328. doi:10.1089/acm.2006.12.323. PMID 16646733. ^ Wilson, K. (1 March 2005). "Characteristics of Pediatric and Adolescent Patients Attending a Naturopathic College Clinic in Canada". Pediatrics. 115 (3): e338–e343. doi:10.1542/peds.2004-1901. PMID 15741360. ^ Busse, Jason W.; Wilson, Kumanan; Campbell, James B. (November 2008). "Attitudes towards vaccination among chiropractic and naturopathic students". Vaccine. 26 (49): 6237–6243. doi:10.1016/j.vaccine.2008.07.020. PMID 18674581. ^ a b Wilson, Kumanan; Mills, Ed; Boon, Heather; Tomlinson, George; Ritvo, Paul (January 2004). "A survey of attitudes towards paediatric vaccinations amongst Canadian naturopathic students". Vaccine. 22 (3–4): 329–334. doi:10.1016/j.vaccine.2003.08.014. ^ Mielczarek, Eugenie V.; Engler, Brian D. (2014). "Selling Pseudoscience: A Rent in the Fabric of American Medicine". Skeptical Inquirer. 38.3. Retrieved 2 September 2015. ^ a b "Family Physicians versus Naturopaths" (PDF). aafp.org. American Academy of Family Physicians. Retrieved 20 July 2015. ^ Gorski, David H. (18 September 2014). "Integrative oncology: really the best of both worlds?". Nature Reviews Cancer. 14 (10): 692–700. doi:10.1038/nrc3822. PMID 25230880. ^ a b c d Singh S, Ernst E (2009). Naturopathy. Trick or Treatment? : Alternative Medicine on Trial. Transworld. pp. 197–. ISBN 978-1-4090-8180-7. many naturopaths are against mainstream medicine and advise their patients accordingly – for instance many are not in favour of vaccination. ^ a b c d e f g h i j Russell, Jill; Rovere, Amy, eds. (2009). American Cancer Society Complete Guide to Complementary and Alternative Cancer Therapies (Second ed.). Atlanta: American Cancer Society. pp. 116–119. ^ a b c d e Atwood IV, Kimball. C. (March 26, 2004). "Naturopathy, pseudoscience, and medicine: Myths and fallacies vs truth". Medscape General Medicine. 6 (1): 33. PMC 1140750. PMID 15208545. ^ a b c d e f g h i Barrett, Stephen (November 26, 2013). "A close look at naturopathy". QuackWatch. Retrieved 2015-03-21. ^ Harvey, Claire (11 July 2015). "Don't duck the law by sending kids to quacks". The Daily Telegraph. Retrieved 2 September 2015. ^ Chivers, Tom (10 November 2014). "How does naturopathy work? A bit like a flying vacuum-cleaner to Mars". Spectator. Retrieved 2 September 2015. ^ Caulfield, Timothy (22 January 2013). "Don't legitimize the witch doctors". National Post. Retrieved 2 September 2015. ^ a b c d e f Robins, Rebecca (17 May 2016). "Funded by vitamin makers, naturopaths push to expand in US". STAT. Retrieved 18 May 2016. ^ a b c d e f g h i Baer, Hans A. (September 2001). "The sociopolitical status of U.S. naturopathy at the dawn of the 21st-century". Medical Anthropology Quarterly. 15 (3): 329–46. doi:10.1525/maq.2001.15.3.329. PMID 11693035. ^ a b Thielking, Megan (20 October 2016). "'Essentially witchcraft:' A former naturopath takes on the field". STAT. Retrieved 30 October 2016. ^ a b c Jarvis, William T. (January 30, 2001) [copyright 1997]. "NCAHF Fact Sheet on Naturopathy". National Council Against Health Fraud. Retrieved 2009-04-17. ^ "What is Naturopathy?". College of Naturopathic Medicine website. East Grinstead, England. Retrieved 16 September 2015. ^ Brown, P.S. (April 1, 1988). "Nineteenth-century American health reformers and the early nature cure movement in Britain". Medical History. 32 (2): 174–194. doi:10.1017/S0025727300047980. PMC 1139856. PMID 3287059. ^ Langley, Stephen. "History of Naturopathy". College of Naturopathic Medicine website. UK. Archived from the original on 2012-08-29. ^ "How it all began". Allinson Flour website. Silver Spoon, British Sugar, Associated British Foods. ^ Beard, John A.S. (May 3, 2008). "A system of hygienic medicine (1886) and The advantages of wholemeal bread (1889)". BMJ. Views & Reviews: Medical Classics. 336 (7651): 1023. doi:10.1136/bmj.39562.446528.59. PMC 2364871. ^ a b "Report 12 of the Council on Scientific Affairs (A-97)" (PDF). American Medical Association. 1997. Lay summary (PDF) – 1997 Annual Meeting of the American Medical Association:Summaries and Recommendations of the Council on Scientific Affairs (1997). ^ a b c d e f g Boughton, Barbara; Frey, Rebecca J. (2005). "Naturopathic Medicine". Gale Encyclopedia of Alternative Medicine (2nd ed.). Gale. ^ Lust, Benedict cited in: Whorton, James C. (2002). Nature Cures : The History of Alternative Medicine in America: The History of Alternative Medicine in America. Oxford: Oxford University Press. p. 224. ISBN 9780195349788. Retrieved 2013-09-03. ^ "Naturopathy - Definition of Naturopathy by Merriam-Webster". ^ a b Beyerstein, Barry L.; Downie, Susan (May 12, 2004). "Naturopathy: A Critical Analysis". NaturoWatch. QuackWatch. Retrieved 2009-03-21. ^ "HEW Report on Naturopathy (1968)". QuackWatch. August 30, 1999. Retrieved 2013-09-03. Citing: Cohen, Wilbur J. (1969). Independent Practitioners Under Medicare: A Report to the Congress. United States Department of Health, Education, and Welfare. OCLC 3000280. ^ a b "Naturopathy: Report of the Australian Committee of Inquiry (1977)". NaturoWatch. QuackWatch. December 25, 2003. Retrieved 2013-09-03. Citing: Webb, Edwin C.; et al. (1977). Report of the Committee of Inquiry into Chiropractic, Osteopathy, Homoeopathy and Naturopathy. Canberra: Australian Government Publishing Service. ISBN 978-0642922878. ^ a b "Licensed States & Licensing Authorities". American Association of Naturopathic Physicians website. 2009. Archived from the original on November 30, 2009. ^ Minott, Rod (July 3, 1996). "Insuring Alternatives". NewsHour with Jim Lehrer. PBS. Online NewsHour transcript. ^ a b c "Title 40, Chapter 31, Sections 10 & 20". South Carolina Code of Laws (Unannotated), Current through the end of the 2007 Regular Session. South Carolina Legislative Council. Archived from the original on January 12, 2009. ^ a b c State of Tennessee (2013). "Title 63 Professions of the Healing Arts, Chapter 6 Medicine and Surgery, Part 2 General Provisions". Tennessee Code Annotated. Justia. 63.6.205 Practice of naturopathy. Retrieved September 7, 2013. ^ a b c d e f g American Medical Association (2009). AMA Scope of Practice Data Series: Naturopaths (Report). American Medical Association. Retrieved 30 July 2016. ^ a b c d Senapathy, Kavin (31 May 2016). "Why is Big Naturopathy afraid of this lone whistleblower?". Forbes. Retrieved 8 June 2016. ^ a b c d Boon, Heather S.; Cherkin, Daniel C.; Erro, Janet; Sherman, Karen J.; et al. (2004). "Practice patterns of naturopathic physicians: Results from a random survey of licensed practitioners in two U.S. States". BMC Complementary and Alternative Medicine. 4: 14. doi:10.1186/1472-6882-4-14. PMC 529271. PMID 15496231. ^ a b c d Caulfield, Timothy; Rachul, Christen (1 January 2011). "Supported by science? : What Canadian naturopaths advertise to the public". Allergy, Asthma & Clinical Immunology. 7: 14. doi:10.1186/1710-1492-7-14. ISSN 1710-1492. PMC 3182944. PMID 21920039. ^ Carroll, Robert T. (March 7, 2015). "Naturopathy". The Skeptic's Dictionary. Retrieved March 21, 2015. ^ Sarris, Jerome; Wardle, Jon (2010). Clinical Naturopathy: An evidence-based guide to practice. Sydney: Churchill Livingstone / Elsevier Health Sciences. pp. 32–36. ISBN 9780729579261. Retrieved 2013-09-01. ^ a b Pizzorno, Joseph E. (1999). "Naturopathy: Practice Issues". In Clark, Carolyn C.; Gordon, Rena J. (eds.). Encyclopedia of Complementary Health Practice. Springer Publishing. pp. 57–59. ISBN 9780826117229. Retrieved 2013-09-03. ^ a b c "Handbook of Accreditation for Naturopathic Medicine Programs" (PDF). Council on Naturopathic Medical Education. 2007. Retrieved 2010-11-20. ^ a b c d e Hough, Holly J.; Dower, Catherine; O’Neil, Edward H. (September 2001). Profile of a Profession: Naturopathic Practice (PDF). Center for the Health Professions, University of California, San Francisco. p. 54. Archived from the original (PDF) on 2008-10-02. ^ a b Young, Jacqueline (2007). "Chapters 8 & 13". Complementary Medicine for Dummies. Chichester, England: Wiley. ISBN 9780470026250. OCLC 174043853. ^ Ernst E (June 1997). "Colonic Irrigation and the Theory of Autointoxication". Journal of Clinical Gastroenterology. 24 (4): 196–198. doi:10.1097/00004836-199706000-00002. PMID 9252839. ^ "Code of Federal Regulations Title 21, Sec. 801.415 Maximum acceptable level of ozone". U.S. Food and Drug Administration. 1 April 2015. Retrieved 18 May 2016. ^ Herbert, Victor; Barrett, Stephen (1994). The Vitamin Pushers: How the "Health Food" Industry is Selling America a Bill of Goods. Buffalo, NY: Prometheus Books. ISBN 9780879759094. ^ Barrett, Stephen; Raso, Jack (1993). Mystical Diets: Paranormal, Spiritual, and Occult Nutrition Practices. Buffalo, New York: Prometheus Books. ISBN 978-0879757618. ^ Ahmad A, Ginnebaugh KR, Li Y, Padhye SB, Sarkar FH (2015). "Molecular Targets of Naturopathy in Cancer Research: Bridge to Modern Medicine". Nutrients (Review). 7 (1): 321–334. doi:10.3390/nu7010321. PMC 4303842. PMID 25569626. ^ a b c "Episode #050, feat. Britt Hermes". The European Skeptics Podcast. Retrieved 15 September 2018. ^ Haglage, Abby; Mak, Tim (25 May 2016). "Trump Vitamins Were Fortified With B.S." The Daily Beast. Retrieved 24 June 2016. ^ Relman, Arnold S. (April 10, 2002) [January 9, 2001]. "Textbook of Natural Medicine". QuackWatch. Retrieved 2009-04-17. ^ a b c "MMS Testimony in Opposition to H. 1992 and S. 1205, An Act to Create a Board of Registration in Naturopathy". Massachusetts Medical Society. Massachusetts Medical Society. Retrieved 30 July 2016. ^ Carroll, Robert (November 26, 2012). "Natural". The Skeptic's Dictionary. Retrieved 2013-09-08. ^ "NCAHF Position Paper on Over the Counter Herbal Remedies (1995)". National Council Against Health Fraud. 1995. Retrieved 2009-04-17. ^ National Science Board (January 15, 2002). "Chapter 7 Science and Technology: Public Attitudes and Public Understanding, Section: Belief in Alternative Medicine". Science and Engineering Indicators - 2002. Arlington, VA: Division of Science Resources Statistics, National Science Foundation. Archived from the original on 2016-06-16. Retrieved 2018-04-06. ^ Wahlberg, Ayo (December 2007). "A quackery with a difference—new medical pluralism and the problem of 'dangerous practitioners' in the United Kingdom". Social Science & Medicine. 65 (11): 2307–16. doi:10.1016/j.socscimed.2007.07.024. PMID 17719708. ^ Barrett, Stephen (March 28, 2008). "Iridology is Nonsense". QuackWatch. Retrieved 2013-09-08. ^ Jarvis, William T. (August 1992). "Quackery: A national scandal". Clinical chemistry. 38 (8B Pt 2): 1574–86. PMID 1643742. ^ Sutton, Candace (5 April 2018). "Naturopath jailed in starving baby case". news.com.au. Archived from the original on 24 April 2018. Retrieved 24 April 2018. ^ Ernst, Edzard (2001). "Rise in popularity of complementary and alternative medicine: reasons and consequences for vaccination". Vaccine. 20 (Suppl. 1, 5th European Conference on Vaccinology: A Safe Future with Vaccination): S90–3. doi:10.1016/S0264-410X(01)00290-0. PMID 11587822. ^ Joseph E. Pizzorno; Michael T. Murray (2011). Textbook of Natural Medicine e-edition: Text with Continually Updated Online Reference, 2-Volume Set (third ed.). Elsevier. p. 43. ISBN 9781455705276. To understand how revolting these products are, let us just refer to the vaccine matter which is supposed to be an efficient preventive of smallpox. [...] The natural system for curing disease is based on a return to nature in regulating the diet, breathing, exercising, bathing and the employment of various forces to eliminate the poisonous products in the system, and so raise the vitality of the patient to a proper standard of health. ^ a b Downey L, et al. (November 2010). "Pediatric vaccination and vaccine-preventable disease acquisition: associations with care by complementary and alternative medicine providers". Matern Child Health J. 14 (6): 922–30. doi:10.1007/s10995-009-0519-5. PMC 2924961. PMID 19760163. Quote is taken from introduction to paper, not from results of research presented in this paper. ^ Raúl Herzog; José Álvarez-Pasquin; Camino Díaz; José Luis Del Barrio; José Manuel Estrada; Ángel Gil (February 2013). "Are healthcare workers' intentions to vaccinate related to their knowledge, beliefs and attitudes? a systematic review". BMC Public Health. 13: 154. doi:10.1186/1471-2458-13-154. PMC 3602084. PMID 23421987. ^ "BCNA Vaccination Position Paper". British Columbia Naturopathic Association. Retrieved 15 July 2014. ^ Brown, Hal (21 December 2007). "Influenza Virus, Vaccination and Naturopathic Practice". Naturopathic Doctor News and Review. Retrieved 20 October 2016. ^ "Naturopathic Primary Care" (PDF). Oregon Association of Naturopathic Physicians. Retrieved 15 July 2014. ^ "Naturopathy: An Introduction". National Center for Complementary and Integrative Health, National Institutes of Health, United States Department of Health and Human Services. March 2012 [Created April 2007]. Retrieved 2013-03-16. ^ a b Iowa Board of Medicine (February 7, 2002). "A Policy Statement on Naturopathy". Iowa Department of Public Health, State of Iowa. Retrieved 2013-09-01. ^ Naturopathy Work Group. "Traditional Naturopathy Working Session Summary September 23 and October 1, 2008" (PDF). Minnesota Department of Health. Archived from the original (PDF) on July 26, 2011. Retrieved 2010-11-20. ^ a b "Naturopathe avec diplôme fédéral". CH: State Secretariat for Education, Research and Innovation. Archived from the original on 2015-09-04. ^ a b "Legal Status of Traditional Medicine and Complementary/Alternative Medicine: A Worldwide Review". World Health Organization. ^ "Swiss Federal Statistical Office". Switzerland. Archived from the original on 2015-07-08. Retrieved 2015-07-11. ^ "Naturopathic Doctor Licensure". Association of Accredited Naturopathic Medical Colleges. Retrieved 25 December 2014. ^ "Health Professions Act: Naturopathic Physicians Regulation". Victoria, British Columbia: Queen's Printer. October 2008. B.C. Reg. 282/2008 M242/2008. Retrieved 18 August 2016. ^ "About Us". North American Board of Naturopathic Examiners. Retrieved 3 September 2013. ^ a b Gorski, David (21 February 2011). "Naturopathy and Science". ScienceBasedMedicine.org. Retrieved 3 March 2016. ^ Hermes, Britt (13 March 2015). "ND Confession, Part 1: Clinical training inside and out". Science-Based Medicine. Retrieved 23 July 2016. ^ Mangan, Katherine S. (2 December 1999). "YReport Recommends Stripping Naturopathy Council of Its Accrediting Authority". The Chronicle of Higher Education. Retrieved 23 July 2016. ^ Hermes, Britt (29 August 2015). "ND Confession, Part II: The Accreditation of Naturopathic "Medical" Education". Science-Based Medicine. Retrieved 23 July 2016. ^ Society for Science-Based Medicine (2014). Report to the Maryland Board of Physicians Naturopathic Advisory Committee: Recommendations for Naturopathic Regulation (Report). Retrieved 23 July 2016. ^ "Hanbook on CNME Postdoctoral Naturopathic Medical Education Sponsor Recognition Process and Standards (2005)" (PDF). Council on Naturopathic Medical Education. ^ a b c Carly, Weeks (29 April 2016). "Are we being served by the regulation of naturopaths? Not if patients are still being misled". The Globe and Mail. Retrieved 23 July 2016. ^ a b "ND vs MD -- Battle Lines Drawn in California". 3 June 2015. Retrieved 24 July 2016. ^ Frosch, Dan (21 February 2011). "Licensing Naturopaths Incites Debate in Colorado". The New York Times. Retrieved 24 July 2016. ^ Lambeck, Linda (24 May 2016). "New law could let Connecticut naturopathic physicians write prescriptions". Connecticut Post. Retrieved 25 July 2016. ^ Bellamy, Jann (15 May 2014). "Legislative Alchemy 2014 (so far)". Science-Based Medicine. Retrieved 21 July 2016. ^ "Massachusetts Medical Society Testifies in Opposition to Licensing Naturopaths". Massachusetts Medical Society. May 11, 2005. Archived from the original on 2011-07-16. Retrieved 2009-04-17. ^ The Special Commission on Complementary and Alternative Medical Practitioners (January 2002). "Majority Report of the Special Commission on Complementary and Alternative Medical Practitioners: A Report to the Legislature" (PDF). Massachusetts: The Special Commission on Complementary and Alternative Medical Practitioners. Retrieved 2010-11-10. ^ Belluz, Julia (2 September 2015). "Why one naturopath quit after watching her peers treat cancer patients". Vox. ^ Jim Brown (10 April 2016). "Former naturopathic doctor calls for an end to naturopathic pediatrics". The 180. CBC. ^ Kirkey, Sharon (4 April 2016). "Should naturopaths be restricted from treating children after tragic death of Alberta toddler?". National Post. Retrieved 8 June 2016. ^ Britt, Hermes (21 June 2016). "How A Former Naturopath Can Help Unravel The Trickery Of Alternative Medicine". Science 2.0. Retrieved 30 July 2016. ^ Swartout, Kristy A.; Thomson Gale (Firm), eds. (2006). Encyclopedia of Associations (44 ed.). Thomson Gale. pp. 1777–1778. ISBN 9780787682866. Retrieved 2013-09-04. ^ Smith Michael J.; Logan, Alan C. (January 2002). "Naturopathy". Medical Clinics of North America. 86 (1): 173–84. doi:10.1016/S0025-7125(03)00079-8. PMID 11795088. ^ "AMA Position Statement: Complementary Medicine - 2012". Australian Medical Association. 28 August 2012. Retrieved 21 March 2015. ^ Paola S (17 October 2017). "Homeopathy, naturopathy struck off private insurance list". Australian Journal of Pharmacy. ^ "About: National Institute of Naturopathy". ^ "Questions: Education and Regulation". Canadian Association of Naturopathic Doctors website. Retrieved 2013-09-06. ^ "History of Naturopathic Medicine". www.cand.ca. Retrieved 2016-02-17. ^ "B.C. gives naturopaths right to prescribe drugs". CBC News. April 10, 2009. ^ "Ley para Reglamentar el Ejercicio de la Medicina Naturopática en Puerto Rico [Law to Regulate the Practice of Naturopathic Medicine in Puerto Rico]" (PDF) (in Spanish). December 30, 1997. Archived from the original (PDF) on 2008-10-02. ^ Bevanger, Lars (January 18, 2012). "UK universities drop alternative medicine degree programs". Deutsche Welle. Retrieved 2012-02-05. Gorski D (21 February 2011). "Naturopathy and science". Science-Based Medicine. Retrieved 30 July 2016. Unfortunately, naturopathy is a hodge-podge of mostly unscientific treatment modalities based on vitalism and other prescientific notions of disease. Hermes B (13 March 2015). "ND Confession, Part 1: Clinical training inside and out". Science-Based Medicine. Retrieved 30 July 2016. ...naturopathic training is not as the profession presents. I’ll say it anyway: naturopathic education is riddled with pseudoscience, debunked medical theories, and experimental medical practices. Wikimedia Commons has media related to Naturopathy.